Agents can now receive different types of notifications when using Paldesk Live Chat. 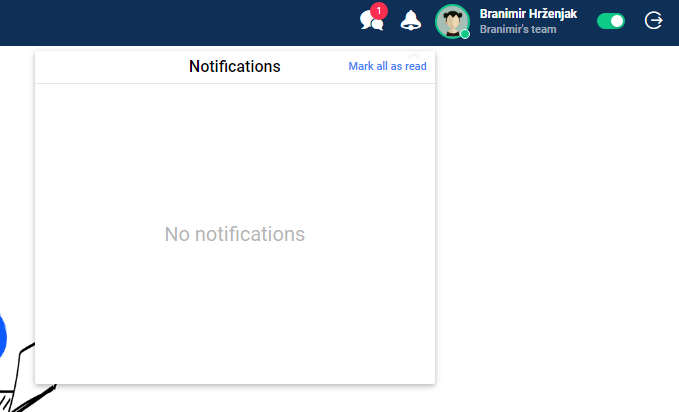 Notifications are useful if you want to know what is currently happening with chats and visitors, and never miss out on a thing. Vital to the quality of life, it makes the agent’s job easier than ever before. Ready to try it out? You will receive a notification when somebody adds a new member to the team. Get a notification when receiving a message from a new user. Get notified when a someone assigns a conversation to an agent. Receive a notification when someone reassigns a conversation to another agent. You get notified when a conversation with the user is closed. This is a basic feature and can be used for free, without any additional restrictions.